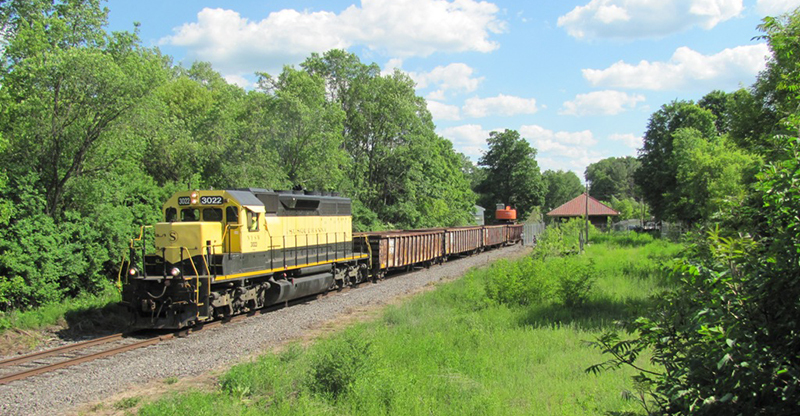 Norwich, NY Chenango County is poised for a resurgence of activity on one of the county’s two rail lines, as their railroad revitalization project ends. After serious flooding in June 2006 the line was faced with, a number of washouts and the cost of repairs rendered it inert. Commerce Chenango and the County of Chenango Industrial Development Agency (CCIDA) didn’t take long to begin planning for its’ return. Still, the County endured over ten years without service on the Utica Main Line, cutting off businesses from a major logistical option and hampering economic development efforts. However, this May the first train to traverse the county since 2006 sounded its’ horn, ushering in hopes of new opportunity and economic revitalization. Chenango County has a number of available properties that could seize on these re-opened possibilities. Even properties that are not rail-side, such as on East Main St., stand to benefit as the local economy improves through rail access. A rising tide lifts all boats, as the saying goes. • 57-59 Borden Ave.: This rail-side property is 139,780 s/f, has 13 loading docks, 21 foot ceilings, extensive parking, city water and sewer, and four current long-term tenants. The New York Susquehanna & Western line runs from the southwest to northeast corners of the county, connecting Binghamton and Utica. Chenango County also continues to receive rail service in Bainbridge and Afton through Norfolk Southern. • 125-127 East Main St.: While not rail adjacent, this property is, a former school building that is 13,272 s/f, three stories, has parking, wheel-chair access, and a number of large rooms suited to many potential uses. 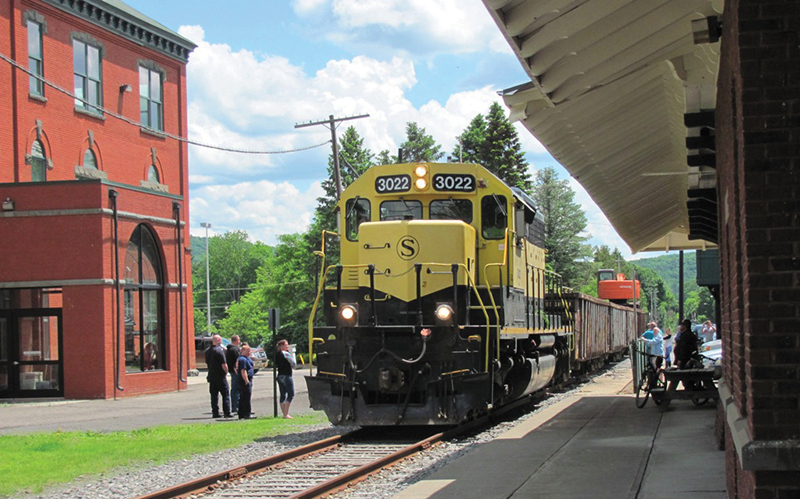 The CCIDA and Development Chenango Corp. are leading economic development efforts as the railroad reemerges on the scene. The CCIDA provides several types of incentives to manufacturers whose expansion or development lead to job creation in the county. Manufacturers considering locating in the county are encouraged to contact the CCIDA to learn about incentives like PILOT programs, sales and use tax exemptions, mortgage recording tax exemptions, and tax-exempt bonds. Development Chenango Corp., another economic development entity for the region, offers low interest loans and grant application assistance to those looking to locate in the county. Small and large business owners should be aware of these programs, as the return of rail service promises to tip the scales on businesses’ location decision-making. Visit www.chenangony.org for more information on Commerce Chenango services and programs.